Last Thursday (Thanksgiving) I was feeling ambitious and thought I would be able to get a post written, so I put it out there on social media that this would be that day's blog post. Boy did that not happen as it turned out to be a crazy busy day from early morning till night —then with my insane retail work schedule and family gatherings, I ended up having no time the entire Black Friday weekend to get this post up. Today I finally have the day off and things are a bit calmed down over here, so here it is....only four days late. Thanks for your patience! Daily posts will resume as normal throughout this week. 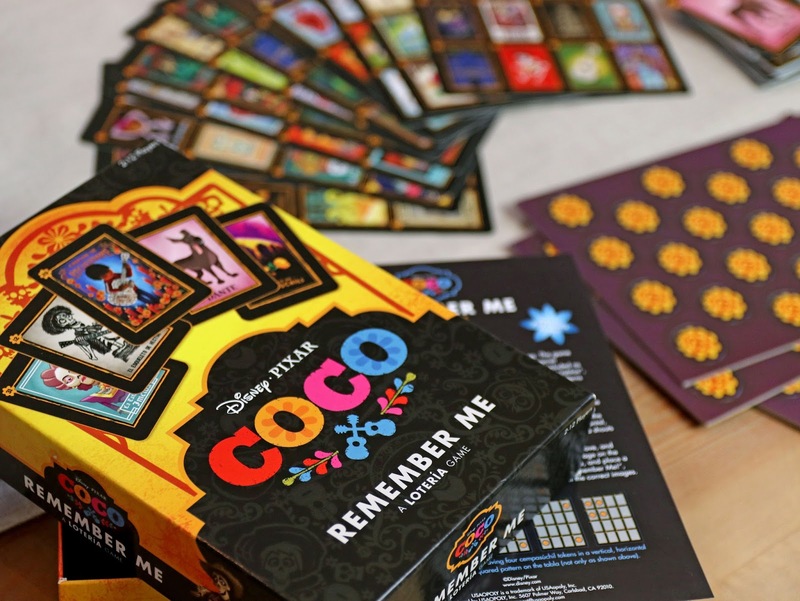 Here we have something fun that I've been excited to introduce you to...this Disney·Pixar Coco inspired "Remember Me" Lotería game! 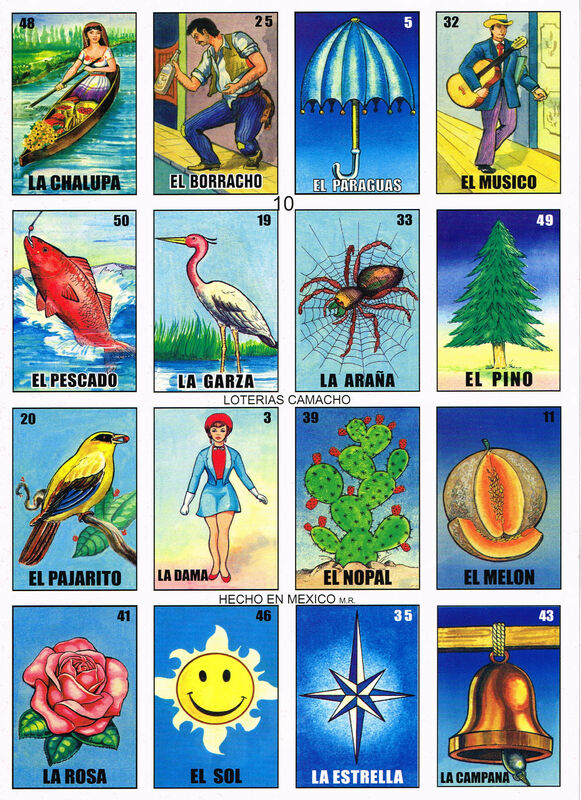 Lotería (which is the Spanish word for lottery, if you couldn't tell) is essentially the Mexican version of bingo (which has been being played there for generations); only instead of calling out plain numbers and then having them correspond with the numbers on your board, Lotería uses images on a deck of cards and on the "tablas" (boards). So yes, in short, it's bingo with pictures. 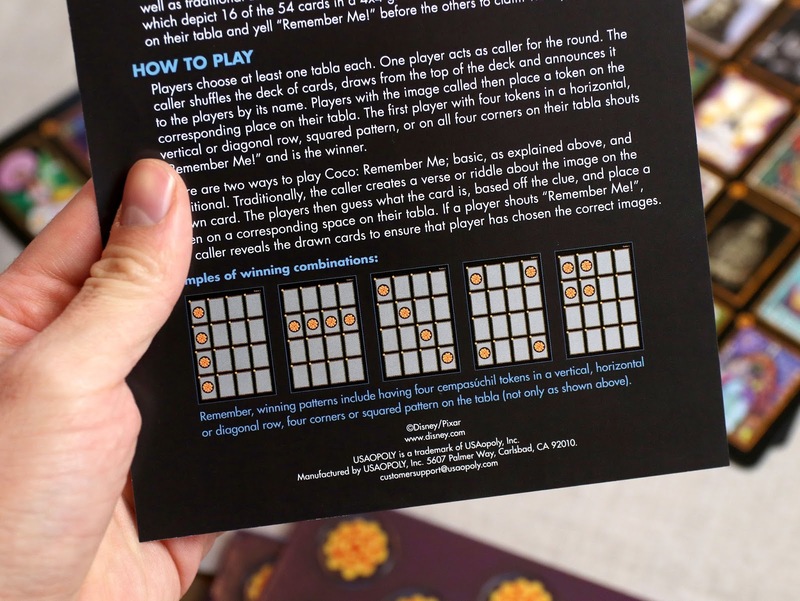 This boxed set comes with 54 cards, 12 tablas (each with a different selection/arrangement of the 54 images—16 on each board in 4x4 grids), 100 cempasúchil (marigold flower) cardboard [punch out] tokens (though traditionally, pinto beans "frijoles" are used as markers if you want to try that) and instructions. What's cool is that all the images are done by a variety of artists, so you'll see many different styles here. You'll notice that some are directly based on Coco (like Ernesto's guitar, Mama Imelda, Pepita, etc.) and some are just inspired by Spanish words/general Mexican culture. 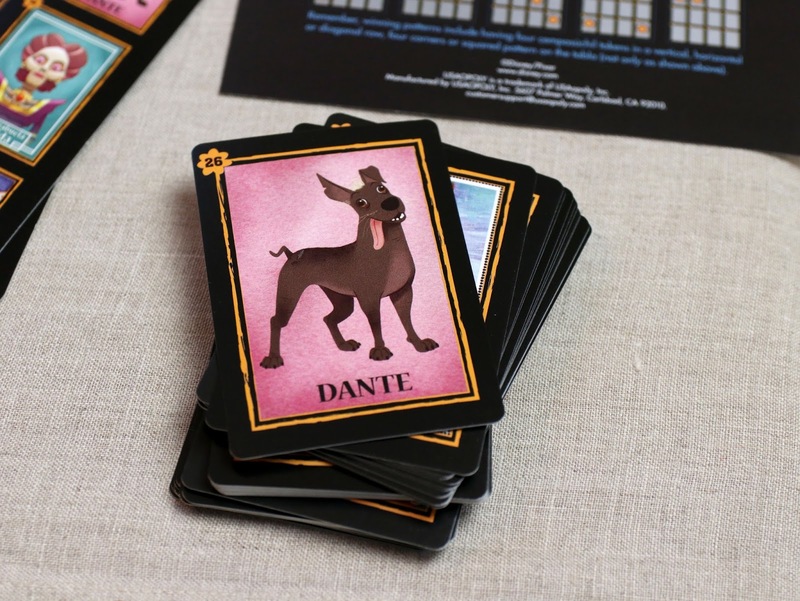 Here's a fun fact: My friend Danny Arriaga (Pixar character artist— character art director for Coco) actually designed the Dante image used in this game seen on the card below! It was a blast playing this game with him and his family when I visited them earlier this month. 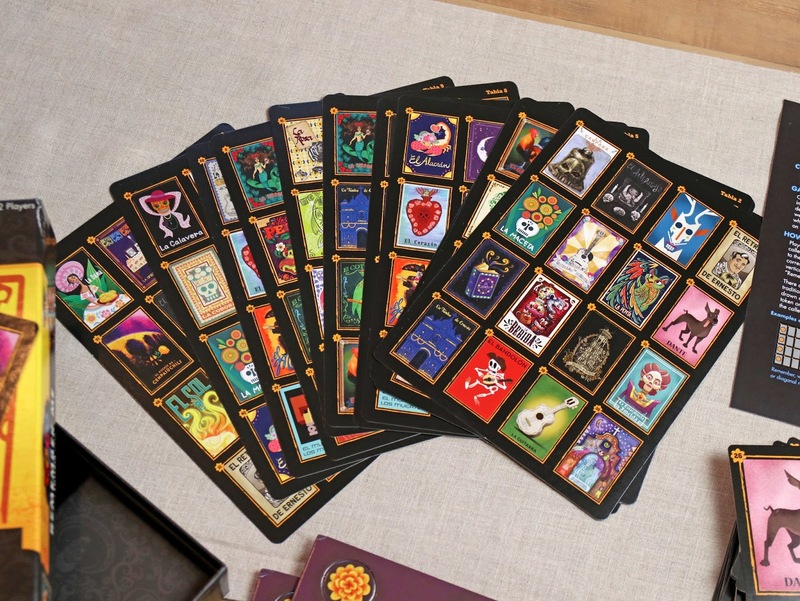 It was so much fun learning more about the the meaning of the artwork here and the Spanish words I was unfamiliar with (as well as what the traditional version of this game is like). 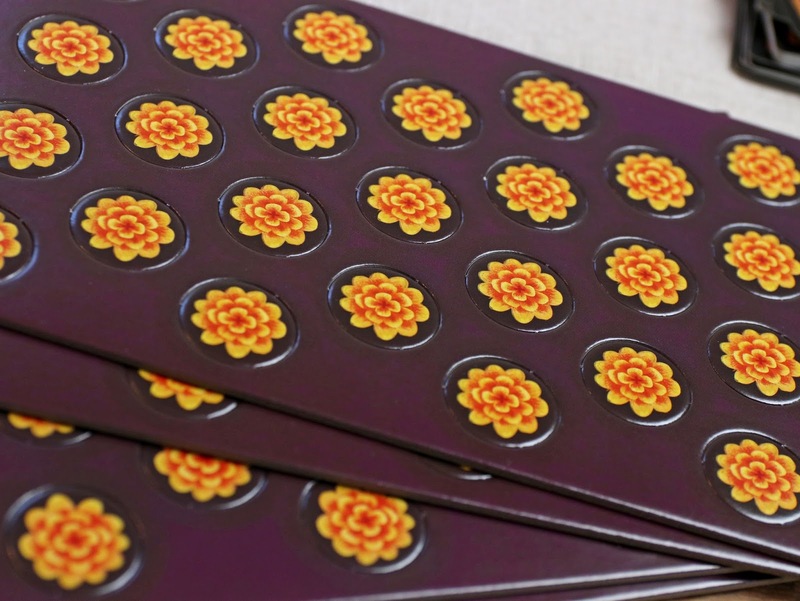 Here are the sheets of cempasúchil tokens that I've yet to punch out. This is a very simple game of chance, but that's bingo for you! There's really no strategy (virtually any age can play), but it's good old fashion fun. It's also very quick (about 10 minutes per round). The Arriaga family also taught me about a longer version you can play called "blackout", which is, rather than the winner only needing four in a row, is about filling the entire board. That was fun too! 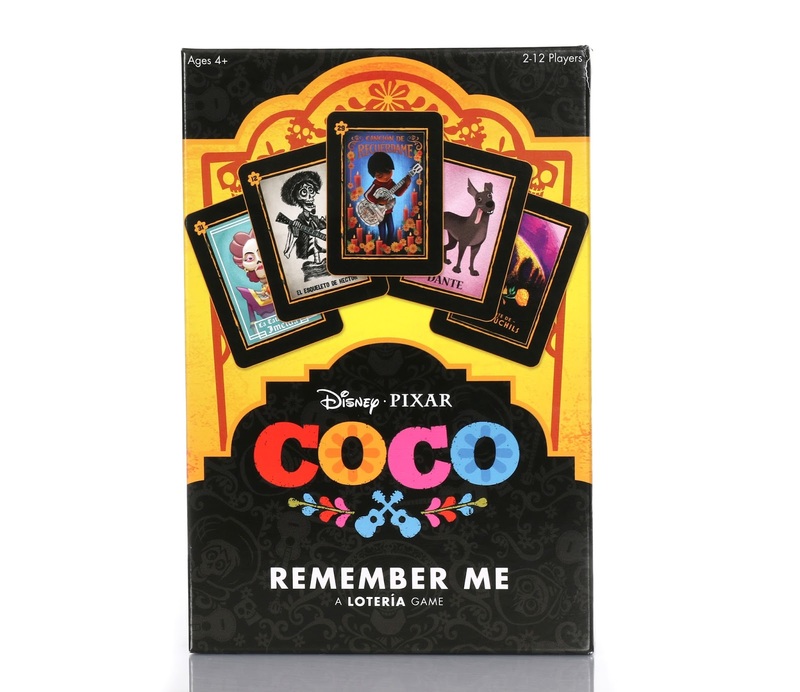 For fans of Coco and those who have been enjoying (as I have) learning more about Mexican culture, I can highly recommend picking up this game. It's something the whole family can have fun with together! This is a Toys R Us exclusive, so be sure to pick it up at your local store or online HERE for $14.99. Have you played this? 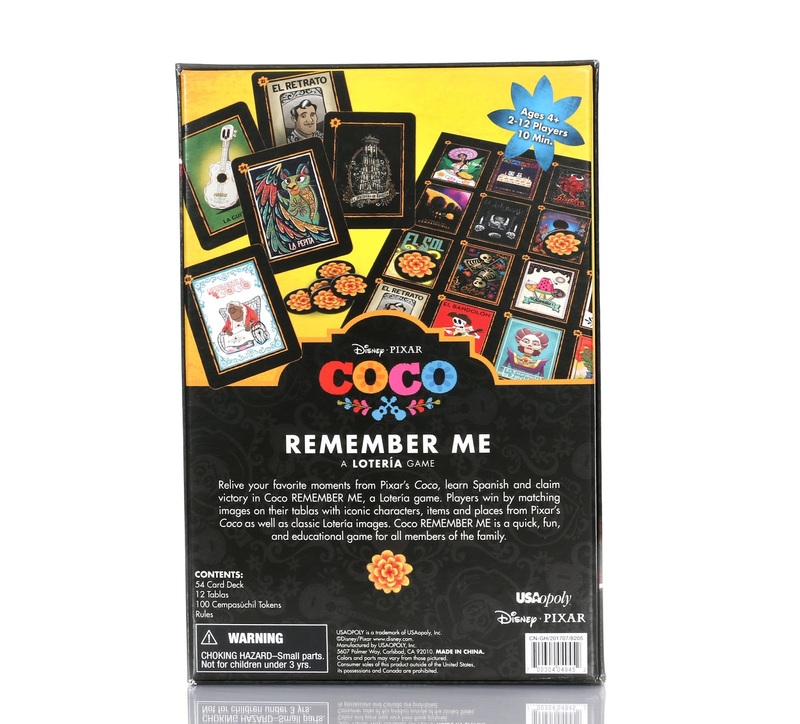 Did you grow up playing traditional Lotería? Shout out your thoughts in the comments below.